If you want to export a Nippi to mainland Europe, you need to read this post on the news blog from November 2009. This is important information for non UK residents who wish to export Nippis to other European countries. The Nippi does not currently have a European Certificate of Conformity. what does this mean? In general principle at least the majority of vehicles in the EU have a COC. Simply that means that at least in theory you may freely purchase a vehicle in one European country and import it into another. For vehicles without a COC, like the Nippi, it is necessary to apply in the destination country for a certificate for each vehicle imported. 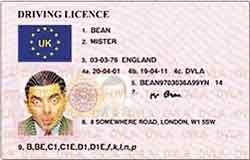 In order to obtain a COC the vehicle, or nippi, will be subjected to a road worthiness test (similar to a UK MOT) to insure that it complies with the country's regulations. As yet I have no further information about individual country regulations. The best advice for now I can offer is to suggest you contact your local scooter main dealer and seek advice for your country. According to Nippi Cars, to obtain a European Certificate of Conformity for the Nippi as a whole would cost them some £30,000. So unfortunately until that is done each non UK European owner will need to register their Nippi on an individual basis. If you have imported a Nippi to your country, please let me/us know what you needed to do!